Add vintage charm to any garden with our classic Windmill Kinetic Stake. 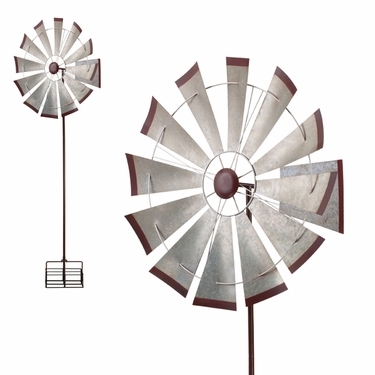 This galvanized windmill has rear blades that rotate the front spinner into the wind for extra spinning action! Size: 32" x 32" x 85"H, 9.5 lbs. Watch our New Windmill Spinner in Action!